The California Air Resources Board (“ARB”) passed a regulation (“Regulation”) that requires diesel trucks and buses that operate in California to be upgraded to reduce emissions. The Regulation has a direct impact on HOAs and requires them to take steps to verify that certain vehicles they hire are properly certified with the State. The Regulation requires lighter and older heavier trucks to be replaced starting January 1, 2015. By January 1, 2023, nearly all trucks and buses will need to have 2010 model year engines or equivalent. The Regulation requires that any party (including HOAs, board members, and managing agents) that hires or directs the operation of any vehicle subject to the Regulation, must verify that each hired company is either in compliance with the regulation or has reported compliance to the ARB. The Regulation does not apply where the party does not hire or direct the operation of any vehicle subject to the Regulation. 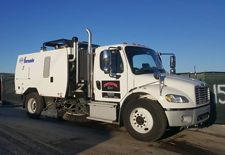 The types of vehicles that an HOA or its managing agent may encounter include but are not limited to the following: street sweepers, dump trucks, pumper trucks, crane trucks, charter buses, lift trucks, concrete pump trucks, and tow trucks. 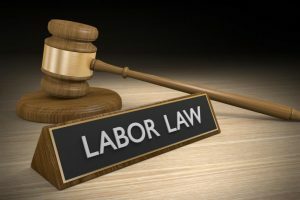 On August 27, 2015, the National Labor Relations Board (“NLRB”) published its decision in the Browning-Ferris Industries of California, Inc. case (“BFI Case”). In that case, Browning-Ferris Industries of California, Inc. (“BFI”) retained the services of Leadpoint Business Services (“LBS”) to provide staff to one of BFI’s recycling facilities. The contract between BFI and LBS recognized, and the parties understood, that the personnel staffed by LBS were the employees of LBS. Nevertheless, given the fact that the contract granted BFI with some control over the employees of LBS, the NLRB concluded that BFI was a joint-employer of LBS thereby obligating BFI to comply with federal labor laws. Many associations retain a community management firm for the purpose of executing the duties of the association. These community management firms in turn employ community managers and support staff to manage these associations. While historically recognized as the employee of the community management firm (and an independent contractor of the association), the BFI Case raises some questions with respect to the nature of the relationship between the employees of a community management firm and the association. Accordingly, associations must be cognizant that a Court may find that it is a joint employer of the community manager (and support staff), notwithstanding the fact that it exercises no direct and immediate control over said manager. Similarly, associations and management companies must take care when hiring maintenance and service providers for the community. When managers, committee members, or board members are conducting job walks with a contractor’s employee, reviewing specifications, or receiving invoices, the management company and the association may become joint employers. In Heiman v. Worker’s Compensation Appeals Board, Cal: Court of Appeal, 2nd Appellate Dist., 3rd Div. 2007 (“Heiman”), a community association manager hired an unlicensed and uninsured contractor on behalf of the association to install rain gutters on the condominium buildings. An employee of the contractor was seriously injured on the first day of the project and sued the contractor, management company, and association for workers’ compensation. The Court held that the contractor, the association, and the management company were all joint employers because the contractor hired the injured employee, and the management company, as agent of the association, hired the contractor. The BFI Case seems to affirm this decision. In order to insulate the association from a possible finding of joint-employer status, the association should ensure that its contract with independent contractors, requires all proper licenses and insurance, adequately sets forth the desired results, and sets forth the level of care and skill to be used in accomplishing the desired results. (See Id. at p. 12 (“mere ‘service under an agreement to accomplish results or to use care and skill in accomplishing results’ is not evidence of an employment, or joint-employment relationship”).) The agreement should also include a provision that requires the contractor to indemnify and hold the association harmless in the event a labor dispute arises. In April of last year Governor Brown ordered mandatory water use reductions for the first time in California’s history in order to address the prolonged California drought crisis. That order directed the State Water Resources Control Board (SWRCB) to impose a twenty-five percent (25%) reduction on the state’s 400+ local water supply agencies. Complying with these mandated reductions caused communities throughout the state to immediately and drastically address their water usage and conservation practices, and to incur significant expense in doing so. This order was issued amidst a string of legislative and regulatory changes aimed at addressing the historic drought. For example, legislation was enacted to prohibit homeowners associations (HOAs) from fining homeowners for failing to water their lawns during the drought, and the SWRCB adopted emergency regulations that subject HOAs to fines of $500 per day for failing to comply with the SWRCB’s restrictions on potable water use. 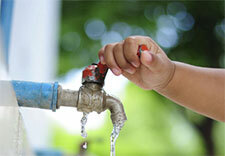 In an apparent policy reversal, yesterday the Governor lifted the 25% mandated statewide water reduction. The Governor’s new executive order directs the SWRCB and the Department of Water Resources (DWR) to work with water suppliers to develop rules and water use targets that are tailored to the unique conditions of their respective regions. Under the new rules, which take effect on June 1, communities would set water reduction guidelines based on their own projection of water supplies with the assumption that the next three (3) years in California will be uncommonly dry. The state would then review the projections and impose restrictions on communities it determines are being unrealistic. These rules and restrictions are consistent with legislation proposed earlier this year (SB 814) that, if adopted in its current form, would require water suppliers to establish their own methods to identify and restrict excessive water use. These rules may lead to a significant reduction, or even an elimination, of water reduction mandates that have compelled HOAs to drastically alter their water usage and watering practices at substantial costs to the HOAs and their membership. The $500 daily fine to which HOAs are subject remains in effect; however, allowing for water reduction mandates to now be established at local levels will hopefully result in more sensible water reduction targets. One of the primary purposes of any homeowners association (HOA) is to manage, maintain and repair the common areas throughout the HOA’s development. This naturally requires the HOA to contract with third-party vendors to furnish goods or services to the HOA (e.g., landscaping, construction, remediation, painting, plumbing, etc.). We are consistently surprised at how some Board members and management professionals fail to recognize how the HOA’s use of improperly vetted vendors can result in potentially significant legal and financial implications for the HOA, among other problems. Therefore, the need to properly vet vendors—and their contracts—is critical before the Board executes any vendor’s contract on behalf of the HOA. We previously drafted a library article entitled “HOA Concerns in Contracting with Vendors” that provides some guidance as to how a HOA’s Board and Managing Agent can protect the interests of the HOA and its members. This blog post touches on some of the information contained in that article, and sets forth some recommended procedures which should be utilized before any vendor begins work at the HOA’s development. Existing law requires a landlord to repair certain “dilapidations” that render a unit untenantable. SB 655 (Mitchell) was proposed earlier this year in order to specify a landlord’s responsibilities in connection with repairs to a building that are necessitated by the presence of mold. SB 655 was approved on October 9, 2015 and its changes to the law will become effective January 1, 2016. SB 655 speaks to landlords (a “lessor of a building”), and not necessarily homeowners associations (“HOAs”). However, courts have applied landlord/tenant law to HOAs in certain circumstances, such as those involving issues of life safety. (See Frances T. v. Village Green Owners Assn. (1986) 42 Cal.3d 490.) Thus, there is a concern circulating throughout the HOA industry that a condominium HOA (i.e., its Board or management) could now face criminal liability for its unreasonable failure to address reports of mold and to take appropriate corrective measures. We do not believe that SB 655 will ultimately subject HOA Boards or management professionals to criminal liability. However, SB 655 does underscore how important it is for a HOA to immediately address reports of mold and to take appropriate action. A HOA Board should consider working with the HOA’s attorney to adopt a formal water intrusion/mold policy. That policy would help educate members on their obligations to immediately notify the HOA and its management of the presence of mold within their Units, and would also specify the HOA’s policy in responding to reports of mold. AB 786 therefore sought to make additional amendments to Section 4735 to clarify that a HOA’s authority to fine homeowners for failing to water during drought periods extends only to situations where the homeowner’s property subject to the fine has previously received, and continues to receive, recycled water for landscaping irrigation. 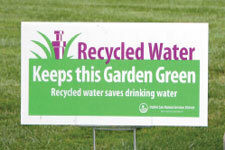 Thus, the Legislature illustrated its original intent to shield only those homeowners who voluntarily cease using potable water for their landscaping irrigation from being fined by their HOAs; homeowners with access to recycled water would still be subject to fines if they failed to use that recycled water for their landscaping irrigation. AB 786 fortunately resolves yet another ambiguity that was created by rushed legislation. HOA Boards and management professionals whom are opposed to having a sea of “brown lawns” within their communities should consult with their HOA’s legal counsel for guidance. This language was modeled after similar protections already existing in Section 4735 for homeowners seeking to use “low-water using plants.” An additional amendment to Section 4735 as a result of AB 349’s passage includes the incorporation of new subpart (d) that protects homeowners from having to “reverse or remove” water-efficient landscaping measures that were installed in response to a government-declared drought period once the drought period concludes. AB 349’s changes to the law take effect immediately as an urgency statute. HOA boards, architectural committees and management professionals must take note of the changes to Civil Code Section 4735. 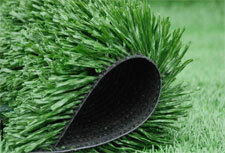 While AB 349 does not address what types of restrictions (as opposed to flat prohibitions) a HOA may place on the installation of artificial turf, HOAs should endeavor to amend their architectural standards in order to provide some guidance to homeowners on this issue and to deter the use of low quality turf materials. The requirements for operating and maintaining “public pools” have been subject to various regulatory changes in recent years. Those changes have impacted pools within private homeowners associations (HOAs), as the California Legislature and Department of Health have defined the term “public pools” to include pools located within private HOAs and residential developments. (Health & Safety Code §§ 116049.1(a), 116064.2(a)(4)(B); 22 CCR § 65503(a)(9).) The more notable changes include those which mandate (1) new parameters for water characteristics, (2) strict monitoring of pool facilities and requirements for written records, (3) enforcement of specific safety and first aid equipment, (4) requirements that newly constructed public pool enclosures have at least one keyless exit and self closing latches, and (5) the imposition of health restrictions for employees or pool users. Some of these changes are discussed below. Finally, there are specific requirements in Section 3119B of the California Building Code for at least one gate/door into the pool enclosure to allow for egress, without a key, for emergency purposes. If all gates/doors allow for keyless exit, no special signage is necessary, otherwise the keyless exit(s) must have signage stating “EMERGENCY EXIT” in at least 4” high lettering. 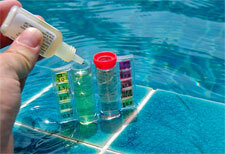 The requirements and technicalities governing pool use and maintenance are numerous and complex. Now, more than ever, HOAs should ensure that their pool maintenance vendors are aware of these requirements and understand the need for strict compliance. The prolonged period of drought in California has resulted in numerous regulatory and legislative changes aimed at addressing the water shortage (i.e., legislation regarding low-water using plants and watering during droughts). On March 17, 2015, the State Water Resources Control Board adopted an expanded emergency regulation to safeguard California’s remaining water supplies. The newly adopted prohibition on irrigating turf/landscapes during and 48 hours following precipitation (rain) may impact the common area maintenance/irrigation practices of HOAs. Failure to comply with that provision could subject a HOA to a fine of $500 per day. To read more about the emergency regulation, click here. Personal Food Gardens Becoming a Nuisance? 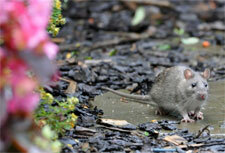 Asked – Fallen and decayed vegetables from a homeowner’s garden are attracting numerous rats and other pests. With the new law permitting personal food gardens, is there anything our HOA can do to address this issue? Personal Use/Donation Only – The crops must be grown for personal use or donation. Crops grown for sale or other commercial purposes do not fall within the definition of “personal agriculture” for the purposes of Section 4750. No Marijuana or Unlawful Substances – There is no right for a homeowner to grow “marijuana or any unlawful crops or substances,” as those items do not constitute a “plant crop” permitted by Section 4750. Only on Owner Property or Exclusive Use Common Area – The right to keep and maintain personal food gardens extends only to the owner’s backyard or areas designated for the exclusive use of the homeowner (i.e., exclusive use common area patios), not general HOA common areas. Clearance of Dead Plant Materials and Weeds – Section 4750 still allows for HOAs to apply rules and regulations requiring that “dead plant material and weeds, with the exception of straw, mulch, compost and other organic materials” that encourage vegetation and soil moisture retention, be regularly cleared from the backyard. A rule or regulation requiring such clearance may be successful in resolving your rodent and pest problem. As indicated above, the right to have a personal food garden would not necessarily insulate a homeowner from his obligation to comply with related provisions of a HOA’s governing documents that serve as “reasonable restrictions” on the use of a yard for personal agriculture. For example, virtually every set of CC&Rs contains a provision prohibiting homeowner from conducting any activity on their property that poses a nuisance to neighboring homeowners. If the way in which a homeowner’s food garden is being maintained is resulting in a nuisance (i.e., attracting rats and other pest populations), the nuisance provision would likely constitute a “reasonable restriction” that the HOA may enforce against the homeowner. In addition to the issues noted above, HOAs may, in some instances, have the authority to restrict food gardens that violate other provisions of the Association’s governing documents that serve as “reasonable restrictions” allowable under Section 4750 (i.e., a height limitation within the HOA’s landscaping standards may serve to prohibit crops that grow to unreasonable heights). HOA Boards that are encountering problems with food gardens should consult with their legal counsel for guidance as to how their governing documents may be tailored to address these types of issues. To submit questions to the HOA attorneys at Tinnelly Law Group, click here.